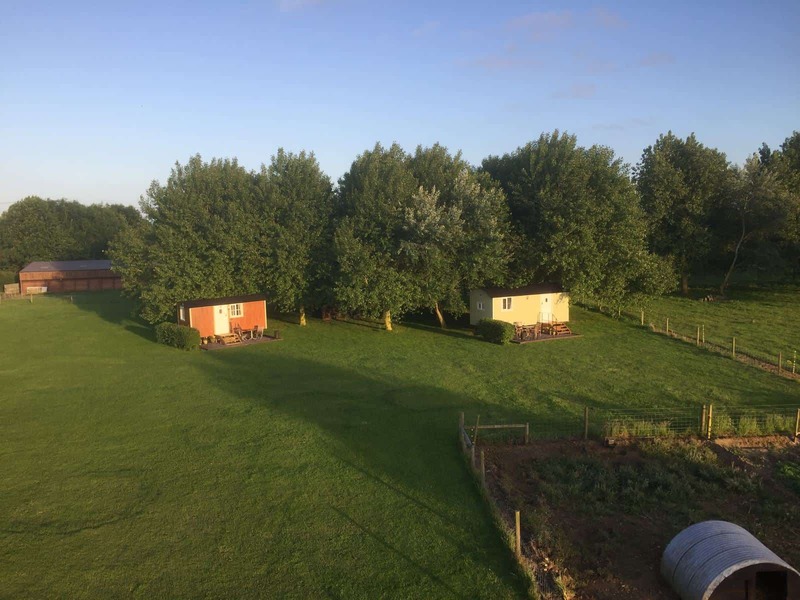 Our huts are hand built by Riverside Shepherds Huts, using the traditional methods, originally these huts were built for agriculture workers working away from the farm i.e. during lambing time or a gamekeeper on a large estate. 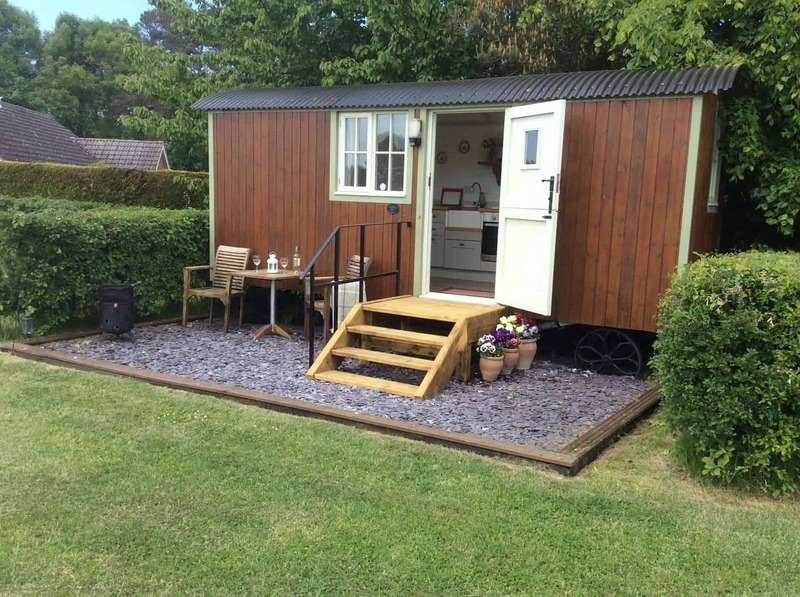 Our huts have the traditional look, but all the modern comforts without the distraction of TV wifi etc. 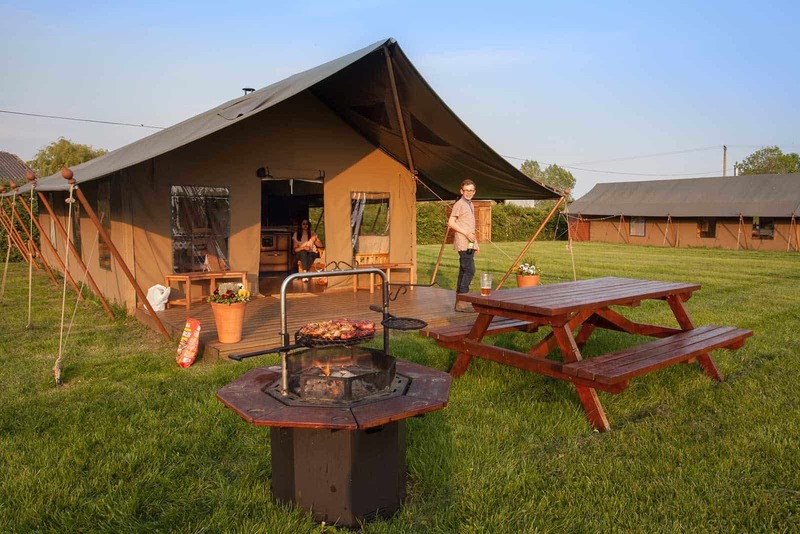 Our tented lodges are based around African safari tents, perfect for families to get close to nature. 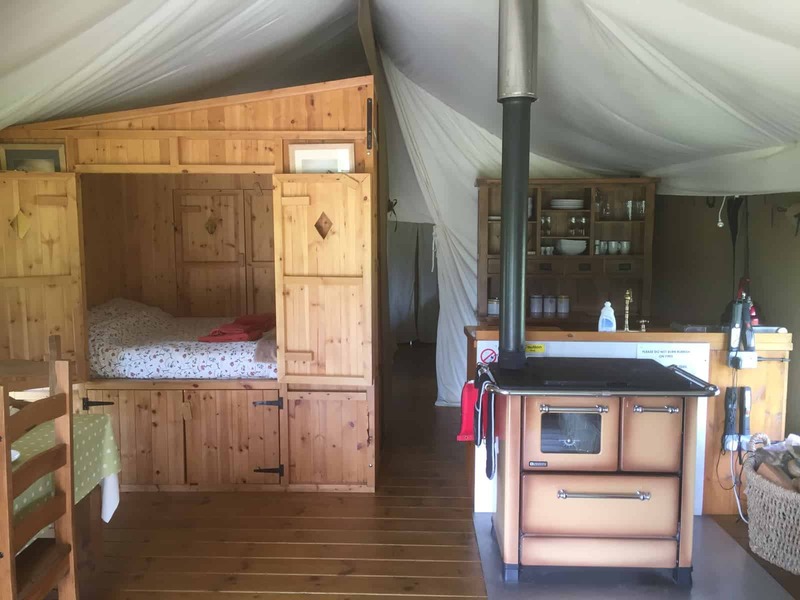 With all the comfort of a permanent structure, but the lodges preserve the romance and atmosphere of a tent. The lodges are very comfortable and include everything required to make your stay extra special. 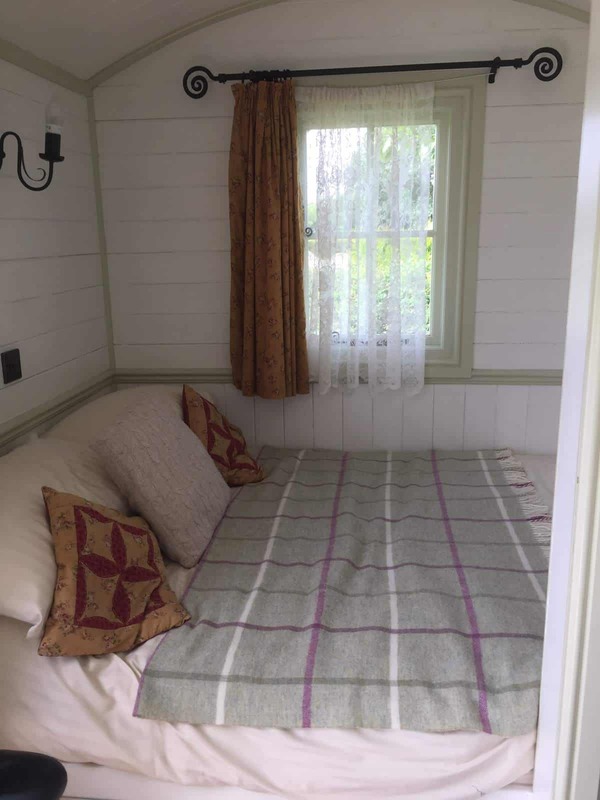 We have introduced three shepherds’ huts to our site. Each one offering something different. Once again we are offering outdoor living with a twist- luxury, comfort, beautiful countryside, and the great outdoors. 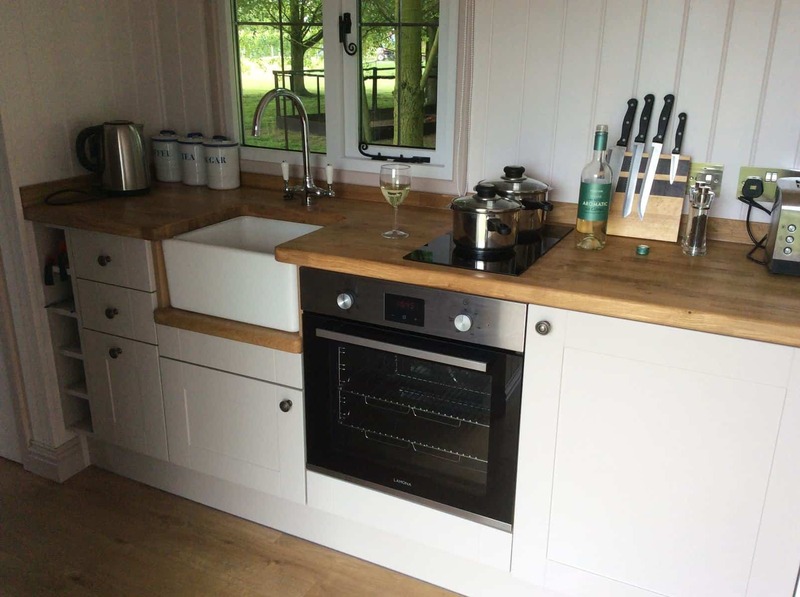 All our huts have a bespoke kitchen area, and a well thought out shower/toilet area, so no running across fields in the night. They are fully insulated and heated. 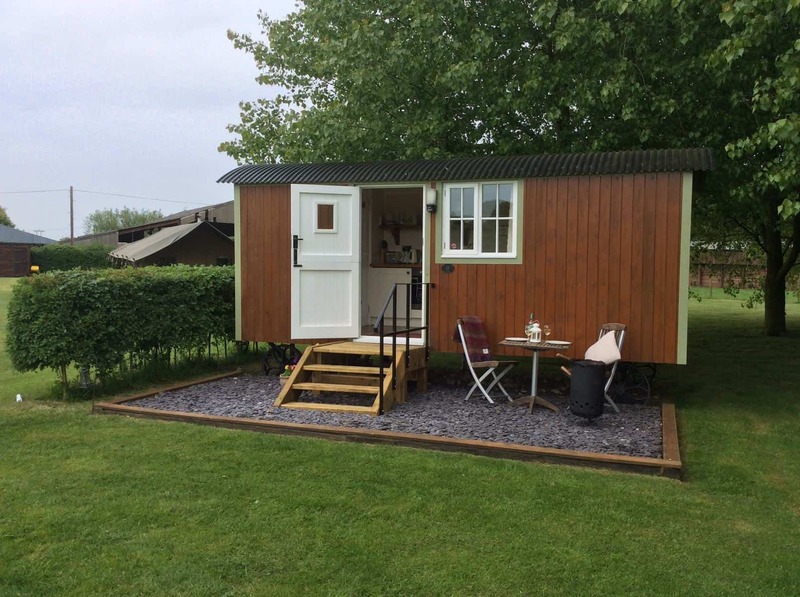 Whether you are looking for a romantic getaway or rural retreat with the family our shepherd’s huts have everything. These are perfect for a Luxury Glamping Holiday. 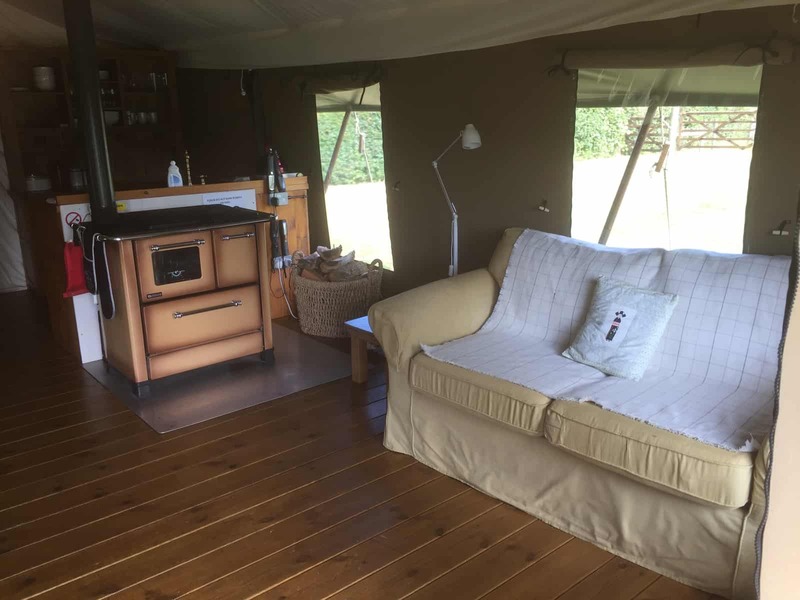 We also have two tented lodges (Chaffinch & Goldfinch) each sleeping up to 8 people. 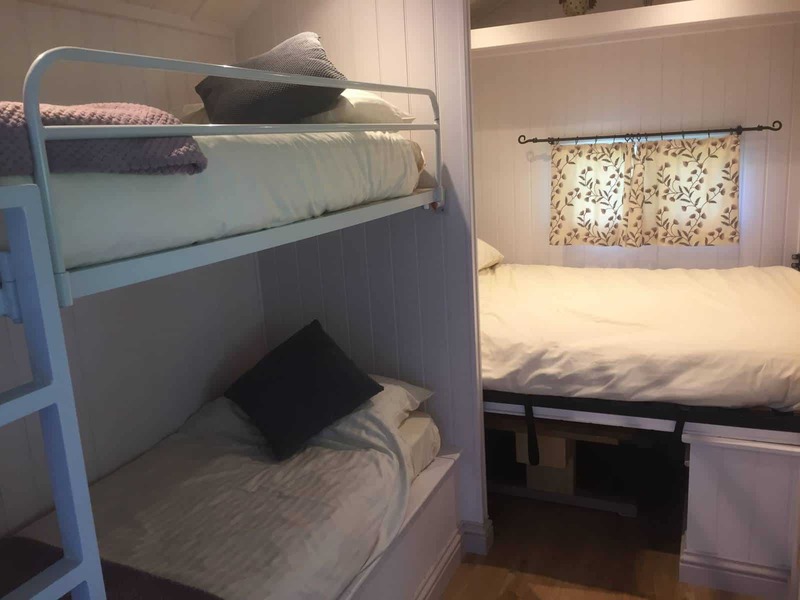 Each lodge has a double bed in the master room, a bunkroom and a custom made ‘cabin’ double bed which has doors opening into the living room and the bunkroom. There is also a double sofa bed in the living area. 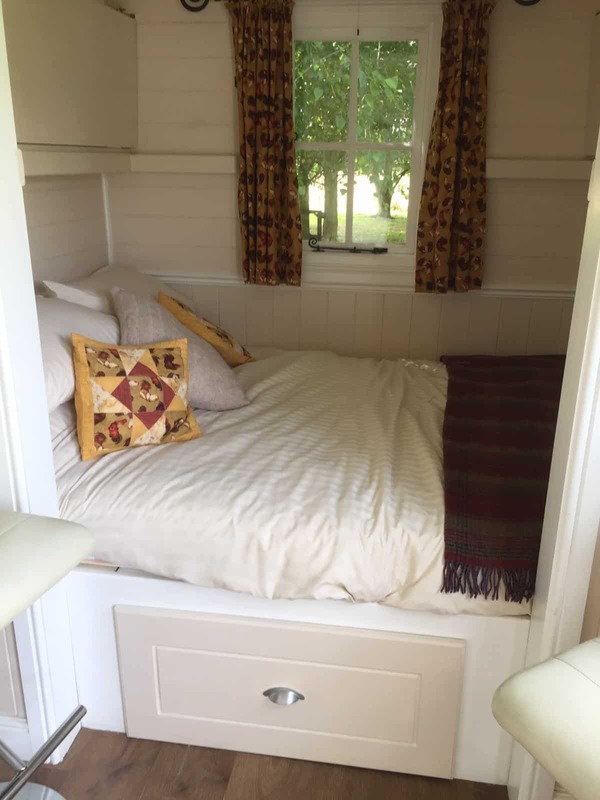 A cot bed is available on request for younger children. 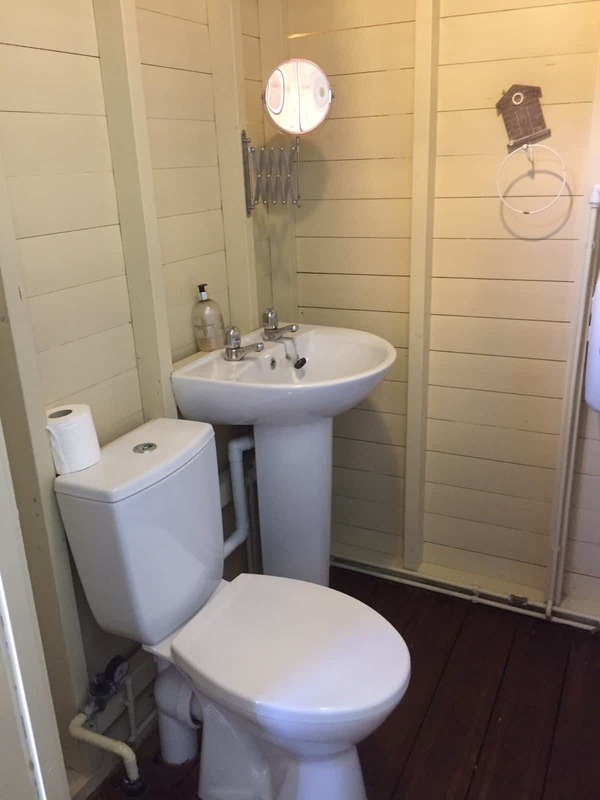 Each lodge has its own flush away toilet and shower. 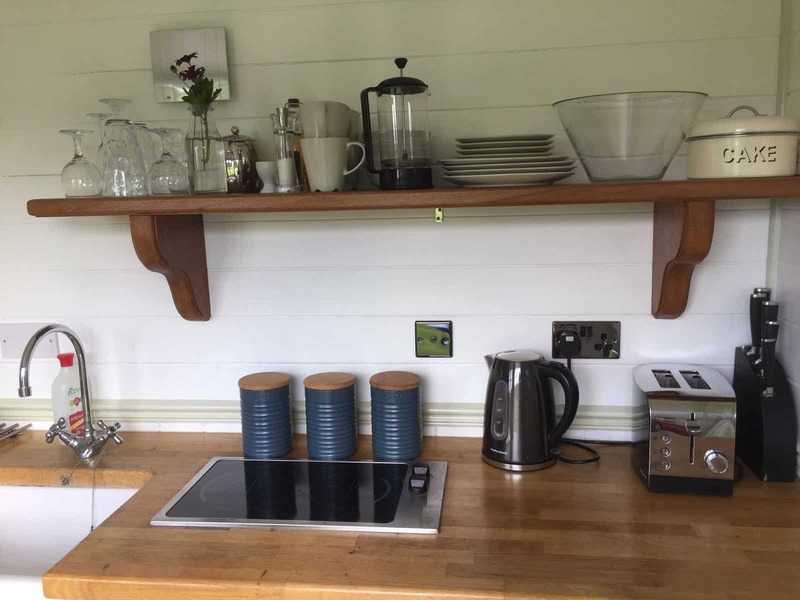 Each lodge is also fully equipped with electric sockets, crockery, cutlery, cooking utensils and wood burning stove. 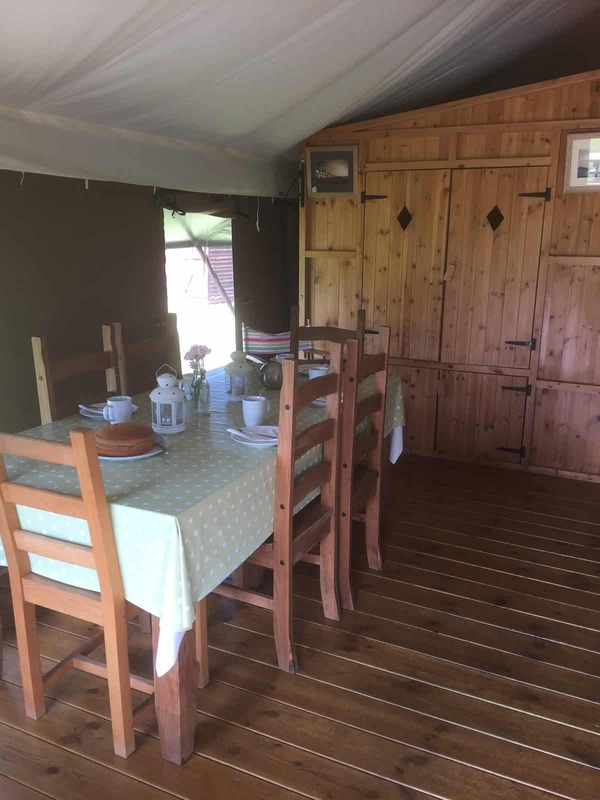 South Down is our largest hut 21ft x 8ft it is suitable for up to 4 people. 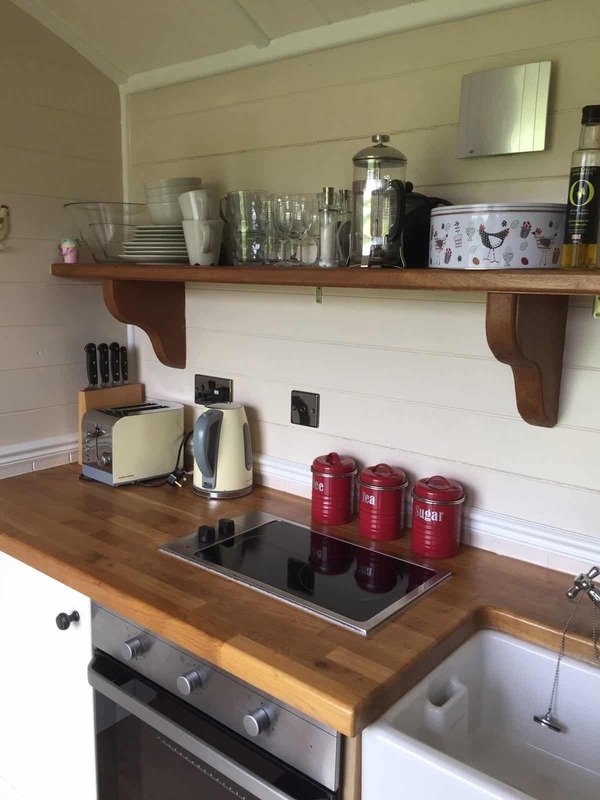 Decorated and equipped to the highest standard it comprises of bespoke kitchen area with integrated full-size fridge. 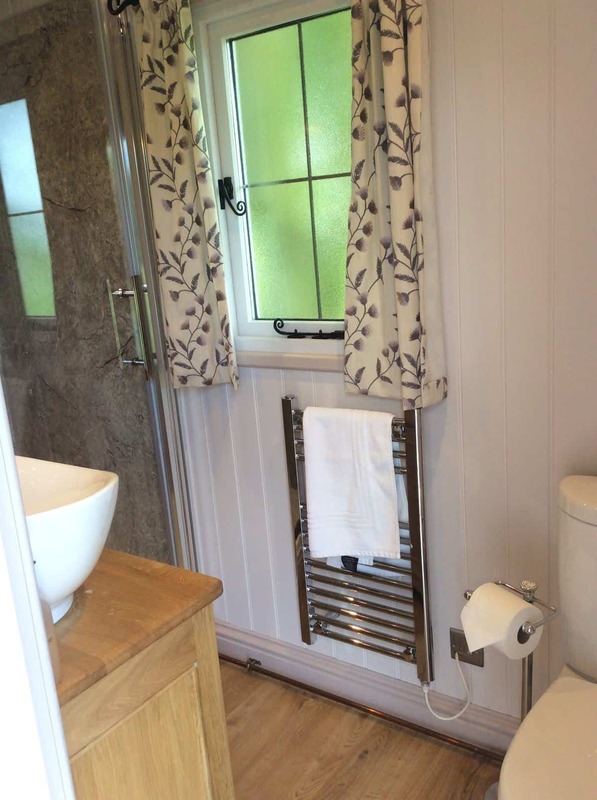 The luxury shower room/toilet area is also very spacious. The King size bed folds away to reveal seating/dinning area. 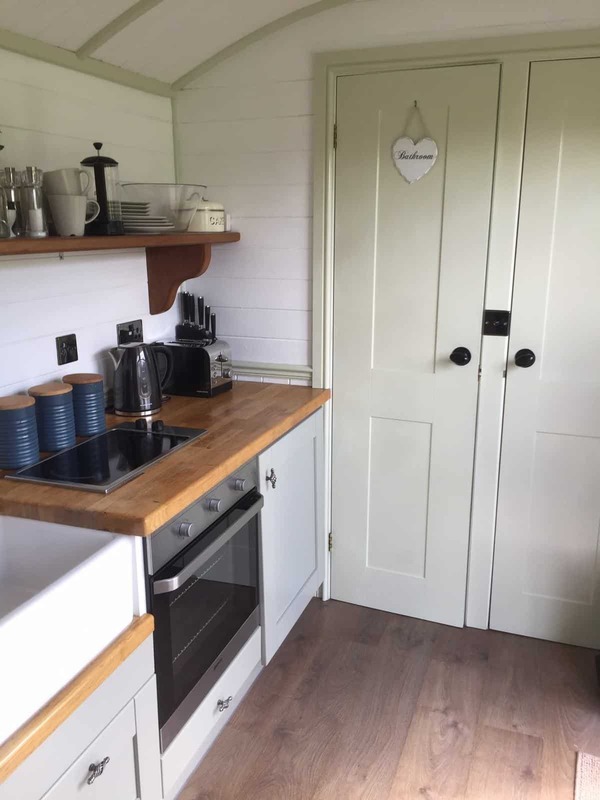 There is plenty of storage throughout the hut. Luxury cotton bedding and fluffy Egyptian towels are included for your comfort. Well behaved pets are welcome at additional charge of £10 per stay. 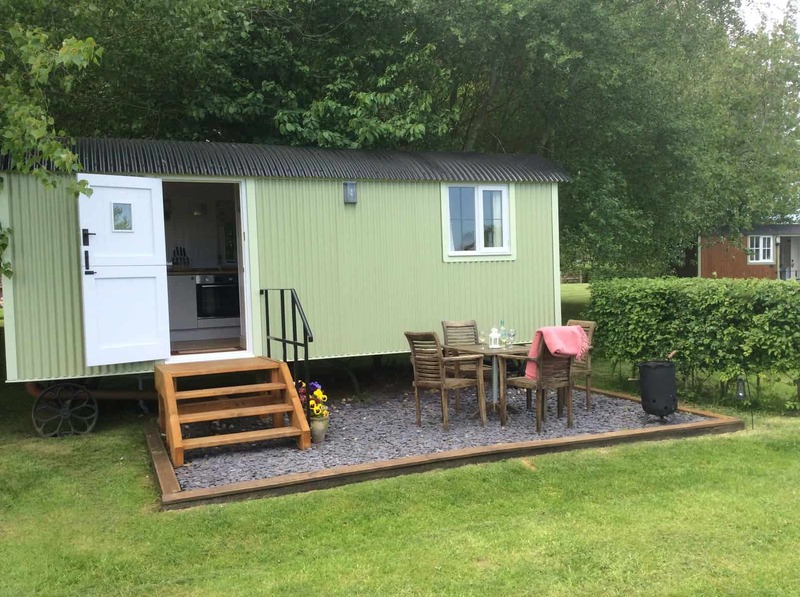 This hut is 18ft x 7ft and suitable for 2 people. The relaxing colours in this hut would chill most people out! 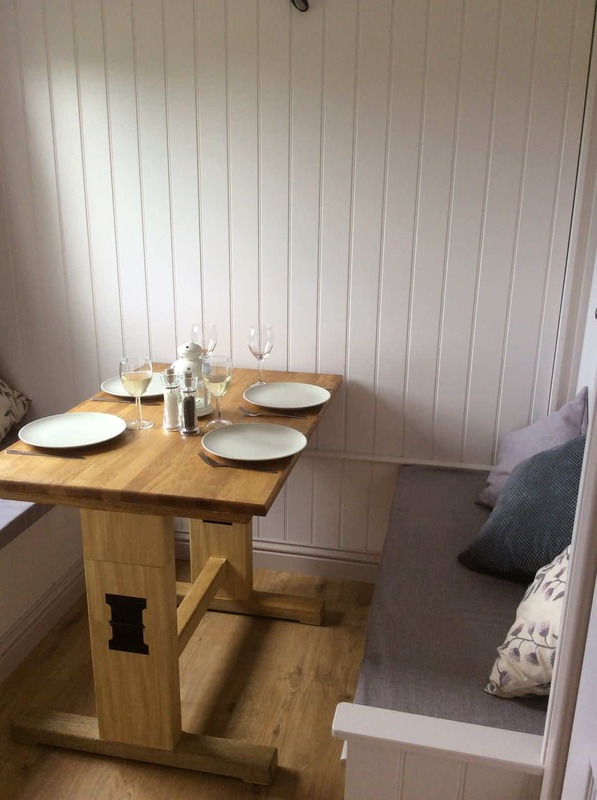 There is a stable door a fold out table with 2 stools and a small cupboard with hanging space. 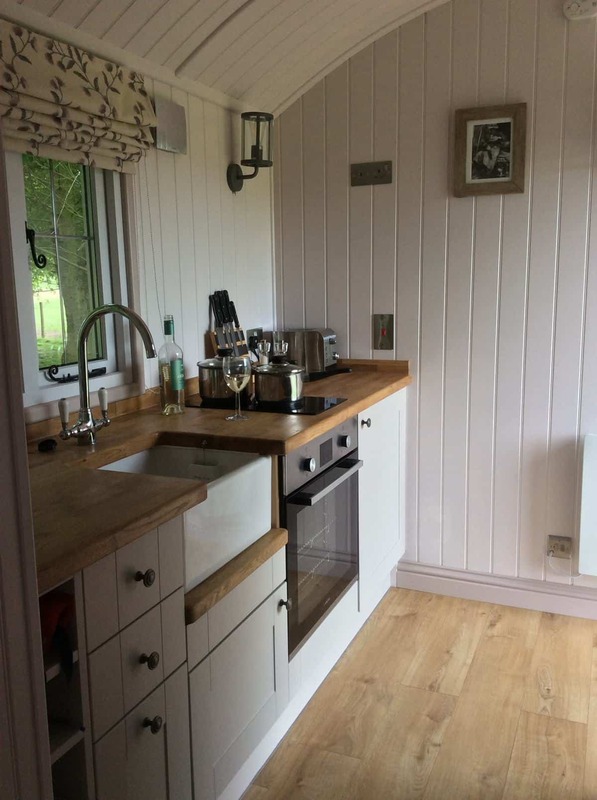 With its bespoke kitchen area, with a integrated oven, fridge and 2 plate hob. 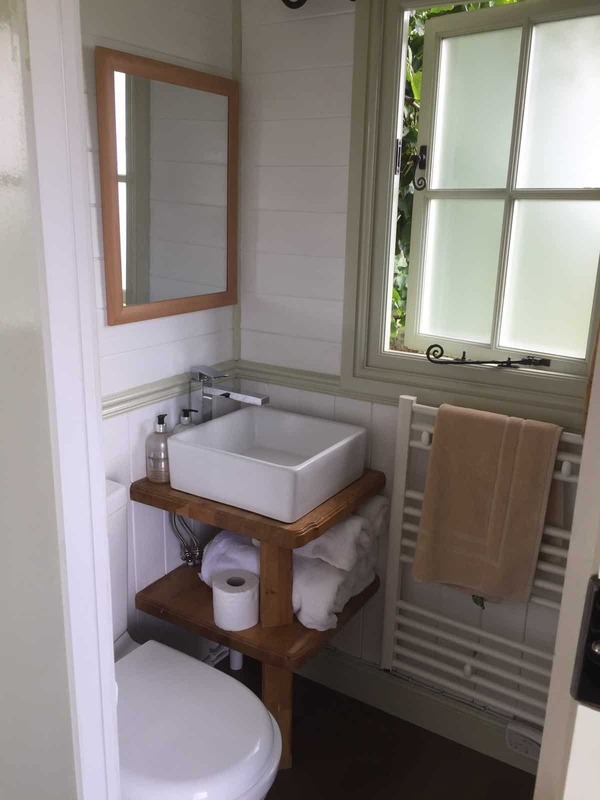 Bespoke shower/toilet area. The double bed is already made for you with a scrumptious memory foam mattress, wool duvet, which is meant to give you the perfect night sleep, with luxury cotton bedding and large Egyptian towels included. On those warm summer evenings we have a table and chairs for you to sit out on and a BBQ/fire pit. 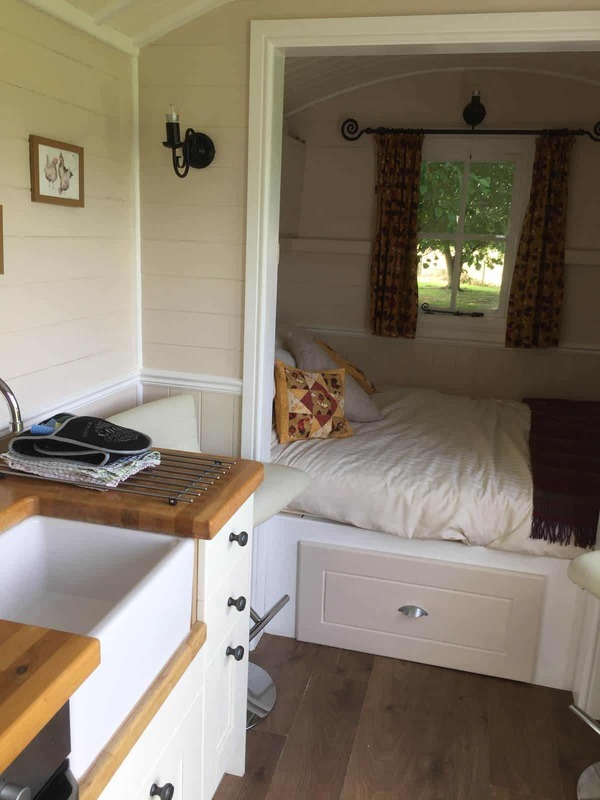 This has the same lay out as the Norfolk Horn, but is able to accommodate two under fives or 110 cm with two pull down bunk beds, above the parents bed. 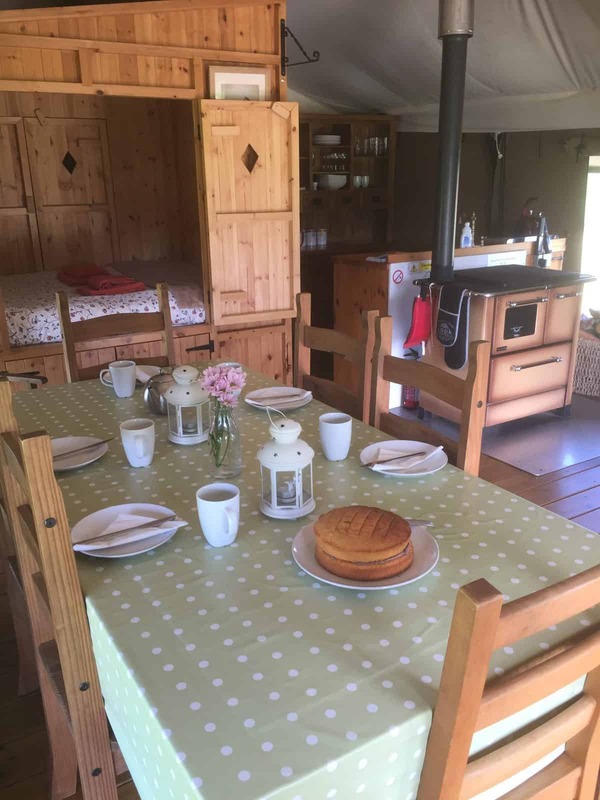 We have two lodges (Chaffinch & Goldfinch) each sleeping up to 8 people. 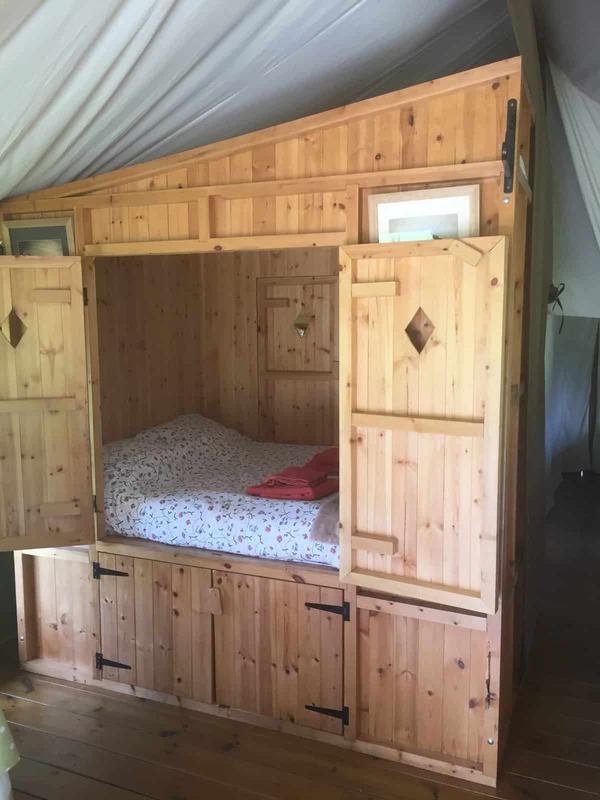 Each lodge has a double bed in the master room, a bunkroom and a custom made ‘cabin’ double bed which has doors opening into the living room and the bunkroom. There is also a double sofa bed in the living area. 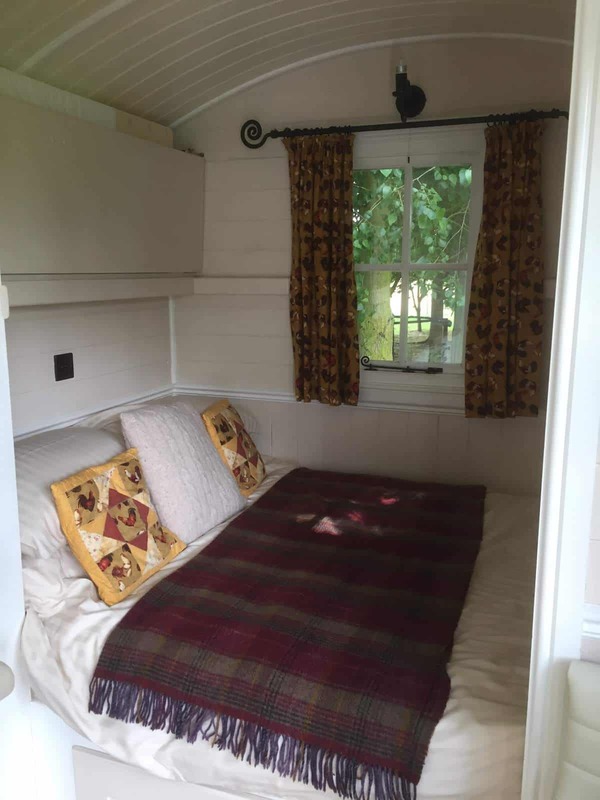 A cot bed is available on request for younger children. 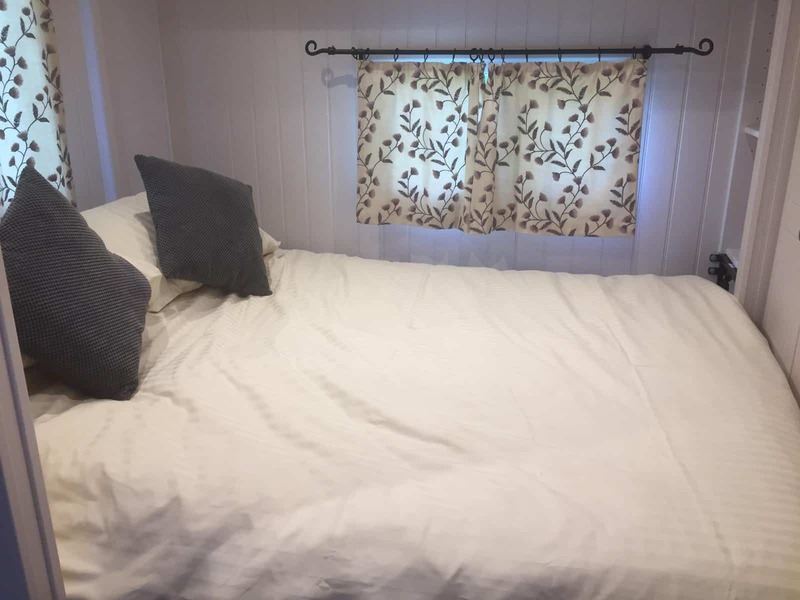 No minimum stay except bank holidays 3 nights (Friday –Monday) and school holidays bookings are done from Friday to Monday (3 nights) and Monday to Friday (4 nights). and weekend of 14th July (Latitude weekend) minimum stay 3 nights.